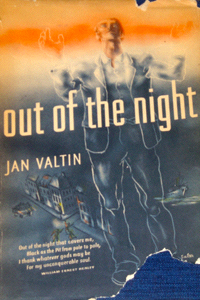 OUT OF THE NIGHT — Jan Valtin — Alliance ($3.50). In the plain, unvarnished days of the Russian Revolution, the Chekists used to keep batteries of automobile engines constantly running to drown out the human and mechanical sounds from the execution cellars. As Russia sought to “catch up with and surpass capitalist technology,” less garish techniques were found for silencing the human voice. Few of the men and women who might tell how Communism really works ever escaped to tell. The handful who did 1 were defeated by a twofold irony: 1) they were suspect as Communists, doubly suspect as ex-Communists; 2) the things of which they tried to warn the world were so monstrous that few believed them. This week another deserter stepped out of the night and spoke his piece. He had no face and no identity. He called himself Jan Valtin. He claimed that he was: 1) an ex-German Communist; 2) an ex-international organizer of seamen and harbor workers; 3) an ex-agent of the Communist International; 4) an ex-co-worker of the OGPU; 5) an escaped prisoner of the Gestapo; 6) an escaped prisoner of the OGPU; 7) a man wanted dead or alive by both. What he had to tell seemed pretty well to substantiate his claims. Unlike other Communist books of revelations, Out of the Night is remarkably well written. Its 841 pages are crowded with exact information, names and dates. More important, when the author does not know something, he says so. His book describes in great detail the immensely ramified activities of the “underground” Communist movement. It describes how strikes in Europe were fomented, and sometimes broken by the fomenter when they conflicted with Soviet policy. It describes the methods whereby a single experienced Communist sailor can disrupt a whole ship by sabotage. It describes how the 1923 Communist uprising in Germany (in which Valtin led a detachment) was organized, then called off by Moscow after fighting began. Out of the Night is an autobiography, but through its pages slinks many a Communist bigwig. There is Bulgarian Comrade Georgi Dimitrov, now secretary of the Communist International, once hero of the Reichstag fire trial. Valtin reveals him as the flabby, dandified, over-perfumed head (for many years) of the Comintern’s West European underground section. There is sly, foxy Heinz Neumann, who plotted the 1927 uprising in Canton, China. Once Stalin‘s darling, he was shot in Stalin’s Purge. There is George Mink, ex-Philadelphia taxi driver, Communist organizer of New York’s water front, OGPU gunman now wanted by the U. S. Government. Valtin describes his uneasiness as he watched these men intriguing against, spying on, double-crossing and betraying each other. 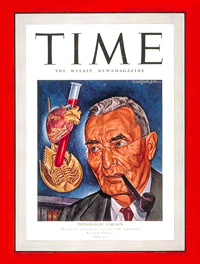 In 1933, Valtin, having escaped from Nazi Germany, was ordered back by a Communist chief who did not like him. Valtin obeyed, was captured by the Nazis, tortured for 101 successive days in the Fuhlsbüttel concentration camp. The scenes in the concentration camp are some of the most sombre and terrifying yet described. By pretending to enter the Nazi service, Valtin was freed, sent to spy in the Soviet Union. The Nazis kept his wife and little son as hostages. She died in a concentration camp. The boy disappeared. Off rushed Valtin to the comrades in Copenhagen, found Stalin’s Purge going great guns. While he was plotting to get his family out of Germany, the OGPU put him under day-&-night guard in a cottage which served as an OGPU prison near Copenhagen. Valtin set fire to it, escaped. Immediately the OGPU denounced him as a Gestapo agent, began a man hunt. The Gestapo began to hunt him as an OGPU agent. Part of this book’s peculiar power comes from its casual reporting of weird, harrowing, unfamiliar things. Part comes from Valtin’s objective reporting of his own activities, without sparing or justifying himself. But its real power comes from something else. Communism in its heyday was a materialist religion for which its believers were ready to die. Said Eugen Leviné quietly to the court-martial that sentenced him to be shot: “We Communists are all on furlough from death.” Valtin’s book is a clinical record of the moral disintegration of that religion. The ultimate horror in reading it is less its portrait of violence, of crimes, of vague or too real terrors, than the sense it gives of the soft, slow collapse of civilized men into total depravity.